At Paper-Oh we believe that paper will always be a fundamental part of everyday life, so we are constantly pushing ourselves to design a better product than what already exists. Everything we create is the result of our passion for the art of bookbinding and our desire to push the limits of what people expect from a notebook. We laboured over these designs in order to give the books an aesthetically pleasing look that conveys just how functional they really are. Our creative team (with over 80 years of collective experience in design, publishing and bookbinding) took nearly 5 years to perfect our first season of Paper-Oh notebooks. That’s because our designers are just that passionate, and crazy enough, about what they do. These efforts may seem extreme, given that by their very nature notebooks are temporal objects, but Paper-Oh notebooks have been designed to celebrate the fact that they will become altered over time. Just as our skills and designs continue to evolve, the true character of a Paper-Oh notebook emerges as it becomes an individualised companion along your life’s journey. 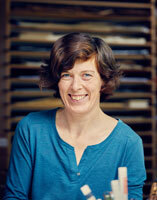 After completing an apprenticeship as a bookbinder, Nadine graduated from the Academy for Design in Kassel, Germany. Magnet closures were the subject of Nadine’s final project at the Academy for Design, and these innovative techniques are instrumental in the structure of the Paper-Oh line. In 2006, she wowed us with her bookbinding and design skills at the Frankfurt Book Fair and by 2007 Nadine was working as one of the driving forces behind the Paper-Oh project, bringing her ideas of folding, scoring and perforating paper and card to the team. Check out our Downloads & Extras for some tips and techniques that Nadine uses in designing Paper-Oh notebooks. Wade has been exploring the world of book arts since taking his first bookbinding workshop in 1994 at Kakali Papers on Granville Island in Vancouver, BC. Wade joined Hartley & Marks as a part-time bookbinder in 2003, making mockups of new journal series and formats. In 2007 he began collaborating with Nadine and the design team on what has become the Paper-Oh imprint. Wade assisted Nadine in creating notebook samples, exploring design ideas and making lattes to keep the design team going. Our designers combine technique with imagination, keeping to the minimalist notion that less is always more. The result is an unconventional, yet completely functional, collection of notebooks – each one unusual, distinctive and inspired. Every one of our notebooks comes from a discovery, where an experimental move becomes a bold closure, unique texture, sophisticated lie-flat binding technique or even a brand new International Paper Size. We work with layers of paper for both our covers and endpapers. 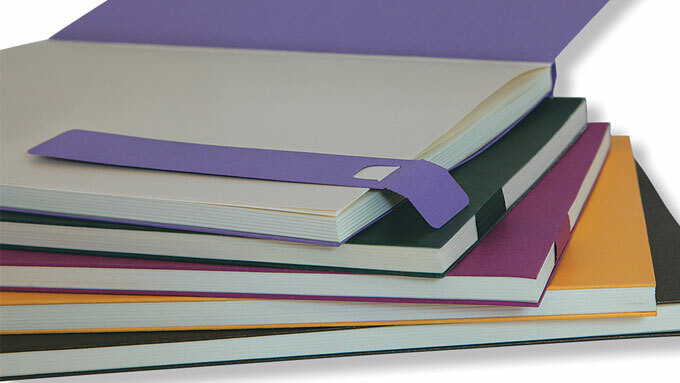 In order to make them more flexible, our notebooks are Smyth sewn with minimal glue. To ensure the notebooks open completely flat, we utilised a special technique that involves “scoring” along the spine. Paper-Oh is about what it is possible to create with paper, keeping to the structure of bookmaking. We experiment to see how the form of the book can be manipulated without losing its function. The original prototypes of our notebooks are first handmade by a master bookbinder. Once we have perfected the original version, we then find the means to produce it in much larger quantities using innovative production techniques. With the final assembled copies set against the standards of our perfect model, we make no compromise for limitation – even if it means modifying our binding machines to meet our needs. 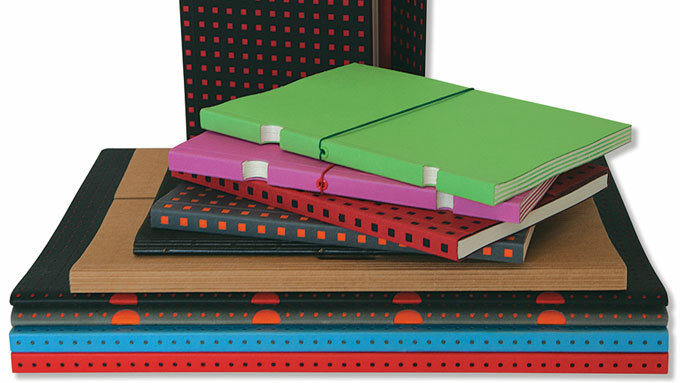 We score, emboss and perforate our paper covers, offering a creative canvas from the inside out. From the pressable corrugated covers of Ondulo to the 3D grid of Quadro, Paper-Oh covers allow users to create their own patterns and cover designs by manipulating the paper and board. Your experience doesn’t end with the visual impact of the notebook, as Paper-Oh also excites the sense of touch. Our writing paper is sourced 100% from sustainable forests and is uncoated, meaning it is left natural with no added veneer. The unbleached paper is a cream colour and we run it through an additional press to make it satisfyingly smooth and ideal for writing, drawing or sketching. 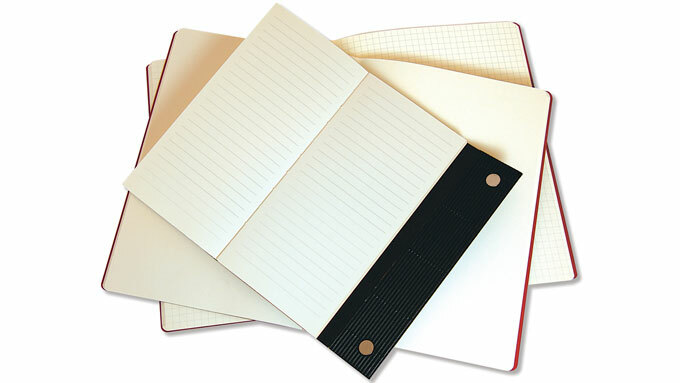 We offer lined or unlined formats for all our notebooks. 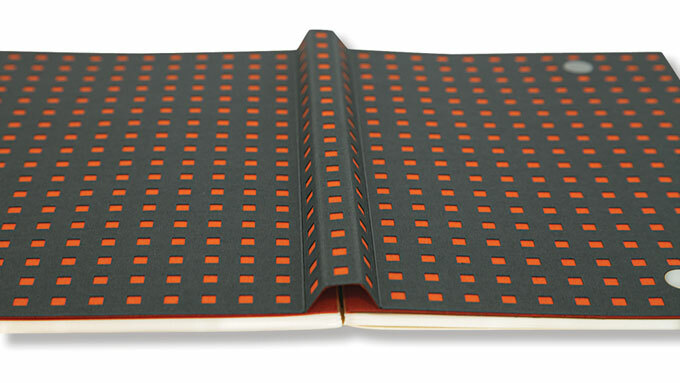 For our Cahiers we also offer a grid pattern. Paper-Oh is part of the Hartley & Marks product family. Check out our other brand websites for more examples of how we make the ordinary, extraordinary.